Chris Brown has announced to push back his tour to Japan where he was slated to play a number of concerts in Tokyo. His representative told the media the singer had to put off his scheduled shows because his visa application for Japan was rejected due to his involvement in an assault case which is in legal process in an American court. According to media reports, Chris and Baylee Curran had some arguments in his California mansion during a party and he allegedly pulled a gun on the model last month. She then phoned the police who attested the songster on suspicion of deadly assault. However, Chris denies the allegations of any assault and says the story is absolutely bogus. Due to lack of enough evidence, official released him on bell and postponed his arraignment date in order to collect necessary evidence. 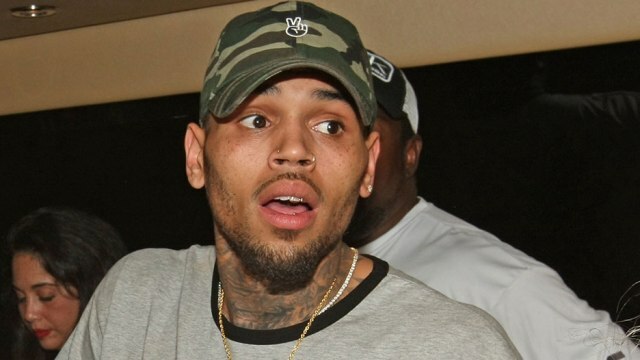 Chris already has been discussed for his run-ins with law, and now this ongoing assault case appears to be big hindrance in a successful continuity of his music career as it has once again stopped him from performing for concerts overseas. Issuing the statement, Creative-man Production confirmed that Chris was to perform at the Tokyo International Forum for two shows in the last week of September which is now postponed because of logistical visa problem and they will announce new dates very soon. The musician's visa application was reportedly submitted for the category of working visa which Japanese officials refused because of ongoing legal investigations. Like other developed countries of the world, Japan has a low tolerance for granting an entry to the visitors who are in process of open legal cases and/or has a criminal history. It was not first time when Chris was refused a visa due to legal restriction as just last year in December, he was denied an Australian visa which he applied for his musical concerts scheduled to take place in Australia. That time his rejection was due to his legal case that took place in 2009 when he was arrested on the complaint of his then-girlfriend Rihanna who told the police Chris had beaten her up during the arguments. Chris appeared in the court on Tuesday, September 20, 2016 to face the allegation but the day went without a prosecution. The recent assault case is still in the investigation process and his arraignment has been delayed to next month. Mark Geragos, who is serving Chris as a lawyer posted a message to his followers writing he was sure police official would soon drop the gun case because they now have to present it to the District Attorney for hearing which he says is not a positive move for police. Geragos insists his client is innocent and he is confident blonde model’s claims are obviously false. He says crops haven’t found any evidence of alleged assault in singer’s home security camera recording nor is there any other proof of this false story. On the other hand, the law enforcement sources say they have taken another fifteen days for detectives let them complete the legal process such as gathering evidence and interviewing witnesses.